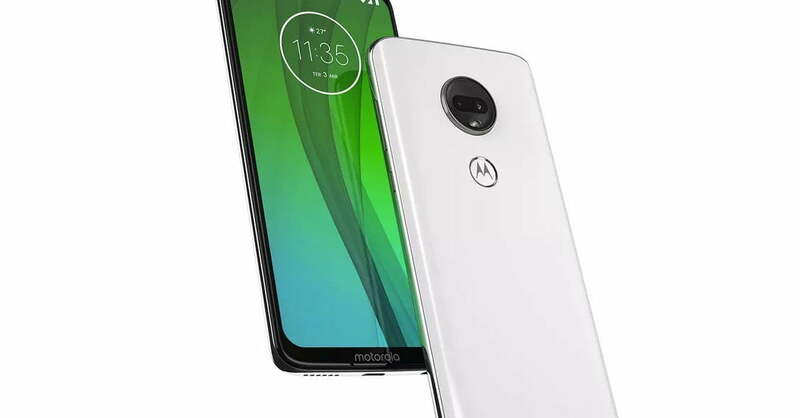 Motorola One 4GB RAM/64GB storage – Rs 13999. Moto G7 4GB RAM/64GB storage – Rs 16999. Moto G7 has a 19:9 6.2-inch FHD+ display with a waterdrop notch, Snapdragon 632 SoC, 12-MP & 5-MP dual rear camera, 8-MP front camera, rear fingerprint sensor on the logo, a 3000mAh battery with 15W fast charging. It has a 3D glass build with P2i water-resistant coating. The Motorola One has a smaller 5.9-inch 19:9 Max Vision HD+ display with a wide notch. It is powered by Snapdragon 625, and has 13MP and 2MP dual rear camera, 8MP front camera, and the same 3000mAh battery. Motorola One is part of Android One series. As part of the launch offer, there is a Rs 2200 cash back offer from Reliance Jio. The phones will be available in offline stores as well as Flipkart. The phones are available in Crystal White and Crystal Black colours.